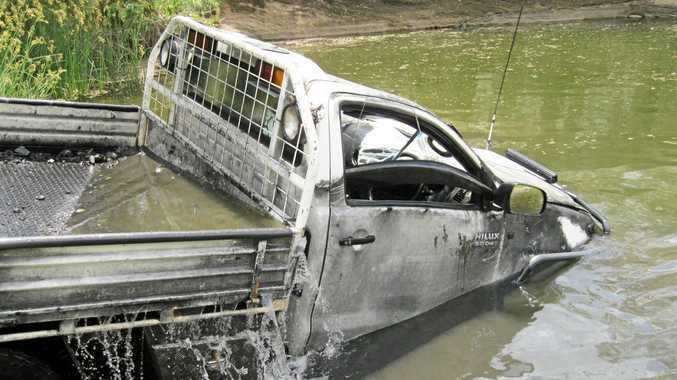 PEER pressure has been blamed for the "foolish” decision a man made to dump his own ute in popular swimming hole The Rockies to pick up a pay-out from an insurance for a flashier model. But now William Daniel Clothier is paying back the almost $15,000 insurance claim, as well as a $4000 fine he was dished out in Warwick Magistrates Court yesterday. Clothier, 21, pleaded guilty to one count of fraud. Lawyer Laurie Watling said Clothier initially paid for his Toyota Hilux with cash he'd saved but, when it started having mechanical problems, he gave in to pressure to fit in with mates with fancier cars. He had also been drinking when he dumped the car at The Rockies, Mr Watling said. "He subsequently went out and bought a newer car, which is sitting at his mother's place because he can't get insured,” Mr Watling said. Clothier received his pay-out in August, a couple of months before police divers were brought in to pull the ute from the water in November. 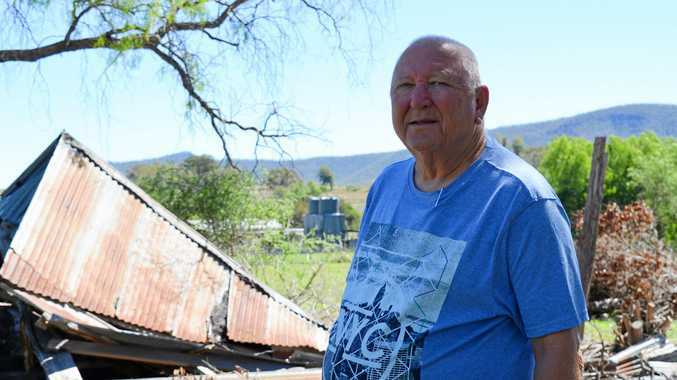 The court heard Clothier, who went to school in Warwick but now works on a station near Tenterfield, was paying back the insurance company $300 a week and was still paying off his new car. "He's certainly pulled his head in after this event and I don't think we'll ever see him back before the court again,” Mr Watling said. Police prosecutor Ken Wiggan said Clothier's repayments to the insurance company showed remorse so a fine would act as a deterrent. Acting Magistrate Robert Walker accepted Clothier was affected by alcohol when dumping the ute, but he had a chance to make it right. "You had an opportunity in the cold light of day to realise that the course you'd embarked upon should be stopped,” Mr Walker said. Mr Walker said Clothier's age, supportive family, quality education and glowing references played in his favour. Clothier was fined $4000 and a conviction was not recorded.